The people who cut, style, and color hair, and sell specialty beauty products are barbers, hairdressers, and cosmetologists. They creatively enhance each client’s appearance, and keep up with hairstyle trends. 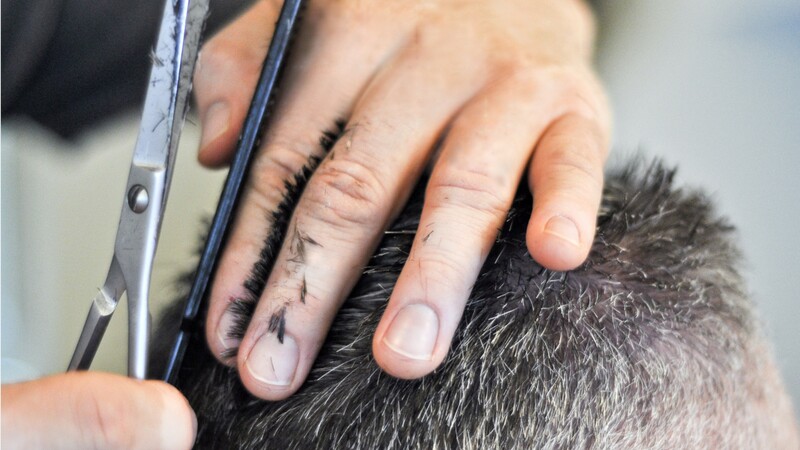 Hairstylists and barbers listen carefully to clients’ preferences, and make sure they are satisfied with their results, while finishing in time for their next appointment. Barbers usually serve male clients for shampoos, haircuts, and shaves. Some fit hairpieces and perform facials. Hairdressers, or hairstylists, provide coloring, chemical hair treatments, and styling in addition to shampoos and cuts, and serve both female and male clients. Cosmetologists perform scalp and facial treatments and conduct make-up analysis. While some barbers, hairdressers, and cosmetologists work in spas or hotels, most work in barbershops and salons. Some lease chair space from a salon owner, others open their own shops after gaining experience. These workers are on their feet for most of their shift, and often wear gloves or aprons when giving chemical hair treatments. Many work full time, including nights and weekends, however part-time positions are also common. Salon owners work long hours and manage employees… inventory… ordering and bookkeeping. Barbers, hairdressers, and cosmetologists must complete a program in a state-licensed barber or cosmetology school and obtain licensure. Full-time programs in barbering and cosmetology usually last at least 9 months. Keep work stations clean and sanitize tools, such as scissors and combs. Hairdressers, Hairstylists, & Cosmetologists by U.S. Department of Labor, Employment and Training Administration is licensed under a Creative Commons Attribution 4.0 International License.